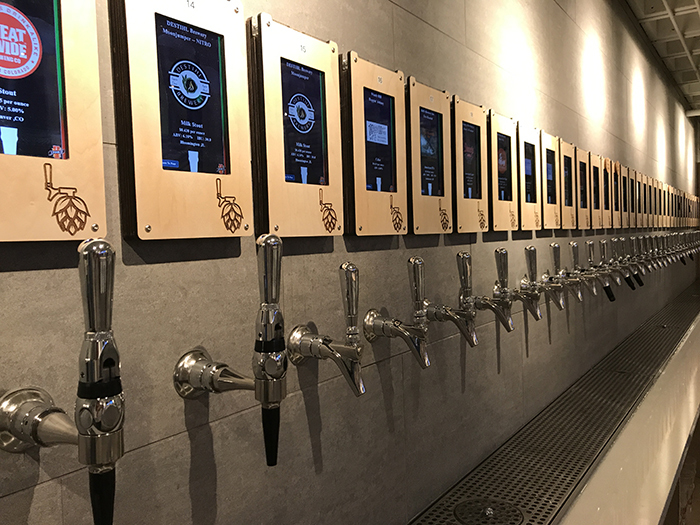 Hoppin’, the new self-serve wine and craft beer bar in South End, served more than 130,000 ounces to 4,000 customers in its first eight days of operation. That includes a record-smashing 35,000 ounces poured over their first 24 hours. The previous record for places using the iPourIt dispense technology was 25,000 ounces in 24 hours. “With all the buzz on social media, I knew we’d be busy,” explained co-owner Rich Moyer. The Agenda visited Hoppin’ the day before it opened and our 32-second preview video generated over 139,000 views. Moyer also learned lessons from opening Two Scoops Creamery in Plaza Midwood. Every Hoppin’ customer I’ve spoken with can’t wait to go back. And I can understand why — it’s a cool experience and the 4,600-square-foot,two-story space is gorgeous. Side note: To nobody’s surprise, Legion Brewing’s Juicy Jay is their #1 beer right now. Hoppin’ is large and airy — with walls covered in tile, moss and artwork on the first floor and couches, chairs and darts on the second, which overlooks the entire space in addition to a patio with the skyline view. While the vast majority of customers loved their first Hoppin’ experience, no grand opening would be complete without a subset of grumpy people. The biggest two issues that customers talked about were excessive foam and how expensive wine pours can be. Rich said that nobody ends up getting charged for foam. The flow meter that measures out your brew begins a few feet up the keg line, he said, meaning foam doesn’t get counted. He said he’s working on educating customers on the most effective way to use the self-serve taps. The biggest mistakes customers are making when they use the self-pour technology are (1) not opening up the tap the entire way and (2) not tilting the glass. Hoppin’ will likely add video to each tap that shows users how to pour a beer correctly. On the wine, several customers also didn’t realize how many ounces are in a typical wine pour, so they’d fill up their glass with an absurd amount — which is both uncomfortable and expensive. Hoppin’ is adding a 4-ounce pour cap to each wine tap to alleviate the issue. To avoid foam, tilt your glass and pull the handle all the way – not half way, don’t be scared. 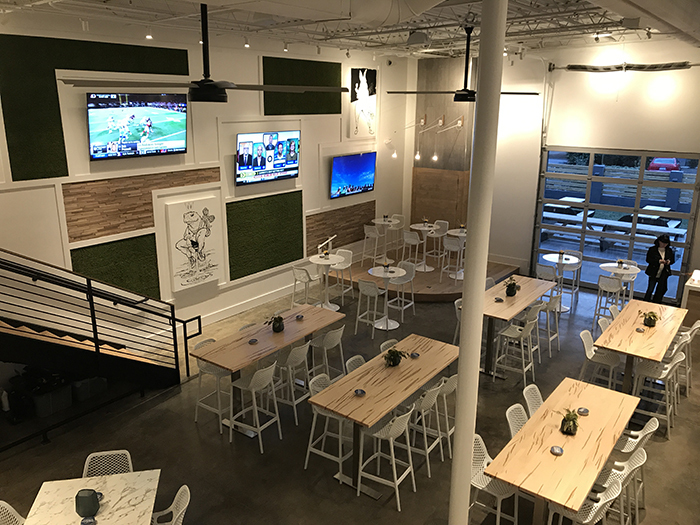 Hoppin’ will be rolling out an 8-10 item food menu with Kre8 in early 2018 as well as a VIP loyalty program where customers receive their own unique wristband. I freaking love the VIP wristband idea. So smart. They’ll also add space heaters, an outside TV and more live music. Another interesting thing to note is that Hoppin’ now has a liquor license. The major use case for the license right now is private parties, but they’re looking into adding craft cocktail kegs — but it’s a process to get this through the North Carolina ABC people, so don’t expect it anytime soon. In 2018, their hours will expand and they’ll be open 7 days a week. 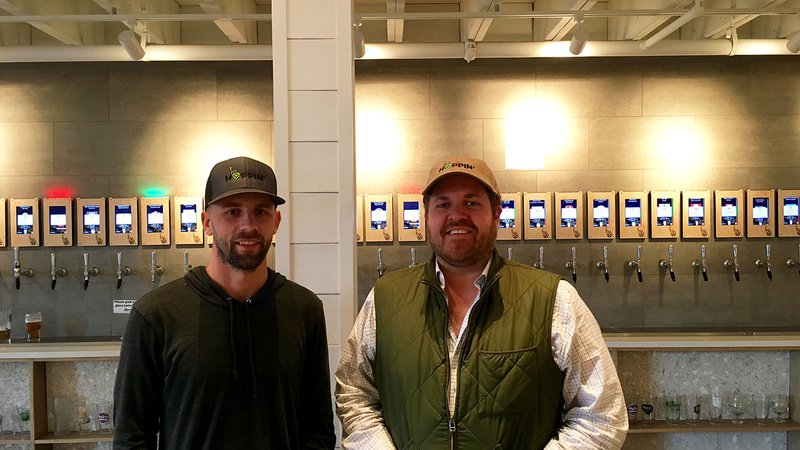 Hoppin’ has no outside investors and 30-year-old co-owners Rich Moyer and Drew Nesemeier plan on launching a second location in NoDa — and they are actively looking to launch more locations around Charlotte. They wouldn’t share the exact NoDa address with me and it looks like a grand opening wouldn’t happen until late 2018 or 2019, but the space has been secured. Of course, none of this is a done deal until it happens. I found Rich and Drew to be super impressive and a strong partnership. And they’re only 30. Damn. Rich is a proven small business operator; he sold a construction business and co-owns Two Scoops Creamery. Drew is a project manager at Batson-Cook Construction with a passion and understanding of beer. Both have a shared appreciation for quality design and tight operations. Rich and Drew got to know each other through working in the construction business and after Drew visited Pour Taproom in Greenville, S.C., he called Rich and told him, “We’ve got to do this here in Charlotte.” One interesting thing to note is that Rich isn’t a big drinker — because of this, his family thought he was joking when he said he was opening a bar. 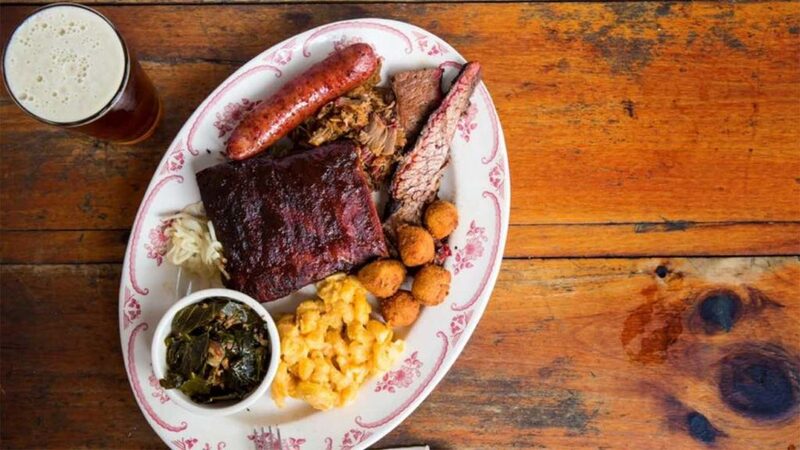 With a highly differentiated concept, good design taste and strong management — I anticipate Hoppin’ could become a Duckworth’s type brand in our city.